I mean, can you really go wrong with a good old fashioned hard boiled egg? It’s common knowledge that eggs are packed full of protein (which is why some people drink them raw. Gross) but we’ve always been unsure about how much protein they actually contain. Well, it’s a lot. 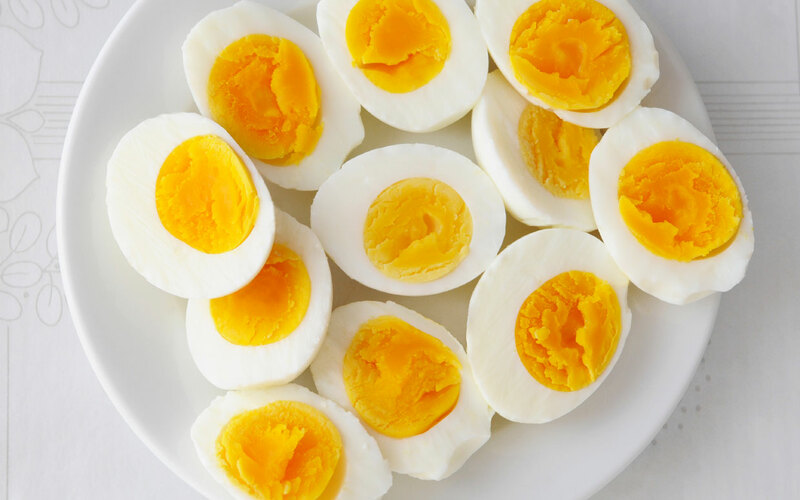 At just 78 calories an egg, hard boiled eggs will provide you with 6 grams of protein! They’re also perfect for snacking on the go. Simply cook them up in bulk, and shove them in your fridge until you’re ready to eat them. You may get a weird look from your colleagues when you start cracking open your pistachio nuts in the middle of the office, but nuts provide us with some of the best (and tastiest) protein of them all. Whether you fancy cashew nuts, walnuts, almonds, whole nuts or peanuts (obviously unsalted) most nuts are all full of protein, as well as a healthy dose of fiber. However, it’s important to eat the correct portion of nuts per day – with one serving of almonds (which equates to around 23 almonds) offering 3.5 grams of fiber and a whopping 6 grams of protein. Scientists have also found that nuts can aid in lowering high cholesterol levels and reduce your stomach fat. If you’re used to your Muller Corners and haven’t tried Greek Yogurt yet, you need to get on that ASAP. Greek yogurt has only really come into the mainstream diet over the past few years, with many health experts swearing by it. Greek Yogurt is both creamier and thicker than your average supermarket yogurt and often comes in fat-free options. Need any more persuading? It’s packed full of protein. In each 6-ounce serving, this Greek Yogurt will offer you 15-20 grams of delicious protein. Okay, this may sound kinda gross – but trust us with this one, you need to give it a try! Peanut butter has become a protein staple for health buffs and those who just really love peanut butter and jelly over the past few decades, and then someone decided to add a bit of celery in there too. 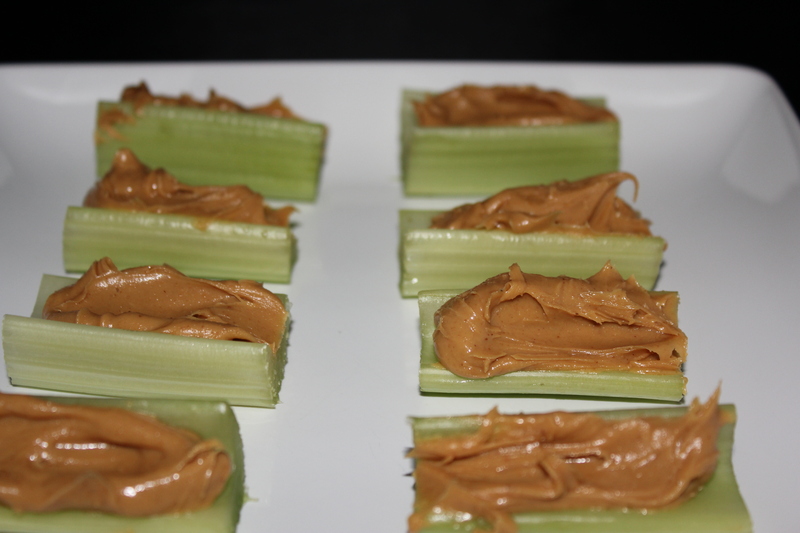 The idea is to break off a little bit of celery and fill in the little bowl with the peanut butter goodness. Celery is extremely high in protein, and so if peanut butter, with two tablespoons offering 7 grams of protein for you to enjoy! So this one might not be for everyone because cottage cheese is definitely an acquired taste (personally, we hate it, but put up with it because of the high protein content). If you’re walking around the supermarket aisles, make sure you pick up some low-fat cottage cheese to use as a dip for your celery sticks, carrot sticks, and other yummy veggies. Cottage cheese will cost you less than 100 calories, and will provide you with 14 grams of calories for each half-cup of it! What more could you want? If you’re hitting the gym and need some high-protein snacks, then these are the best for you. They’re easy to make, and you can take them on the go. You can make them in advance and take them to the gym with you, or bring them to work to snack on after your morning workout. Whatever your routine, these are the best high protein snacks you can make at home.